The usual approach for the introduction of a new vehicle to the automotive media is for an automaker to find a location with good driving roads, descent weather, reasonable access to an airport, and a suitable hotel as well as food. The launch program for the new 2019 BMW X4 would provide that, and then some. The opportunity to see the X4 being built in its production plant as well as do a bit of high performance driving on BMW’s test track and skid pad was part of the agenda. How lovely! So off I went to Spartanburg, South Carolina the location of BMW Group’s only North American assembly plant where around 1,400 BMW X3, X4, X5, and X6 vehicles come off the assembly line every working day. 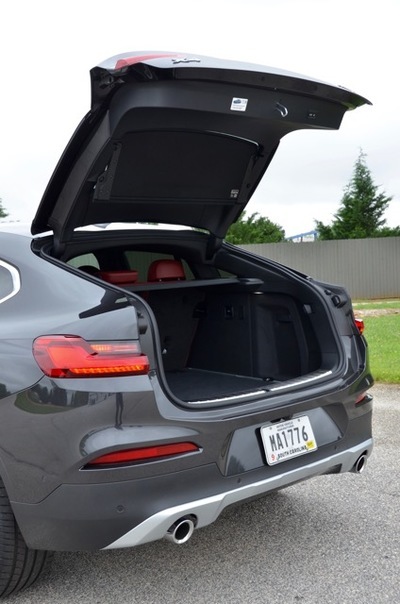 The BMW Group produces BMW X models in Spartanburg for the U.S. and global markets. 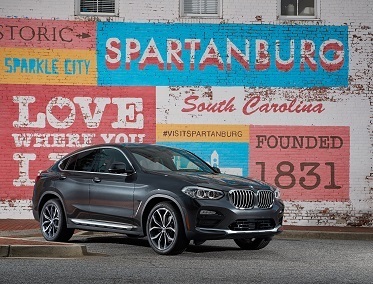 In 2017, the Spartanburg plant, the largest BMW Group plant worldwide, produced 371,284 vehicles. The plant exported more than 70 percent of this total production volume and has a maximum production capacity of 450,000 vehicles per year. Employing 10,000 people, the BMW plant has brought about 70,000 jobs to the surrounding community through suppliers and support industries. BMW calls the X4 a Sport Activity Vehicle (SAV). I was here to drive the new, second generation in two variants, the BMW X4 M40i and the BMW X4 xDrive30i. What’s a SAV you ask? It’s just what it sounds like, that is, a sporty vehicle that offers usefulness and practicality in various activities. Like, drop the children at soccer practice and then go blast around your local auto country club private track. I have to acknowledge that I’m not a big fan of the overall road-presence of these SUVs with a coupe-like roofline that are offered by a number of brands. However, with their sport orientation and once behind the wheel I forget about that and love the driving dynamics. 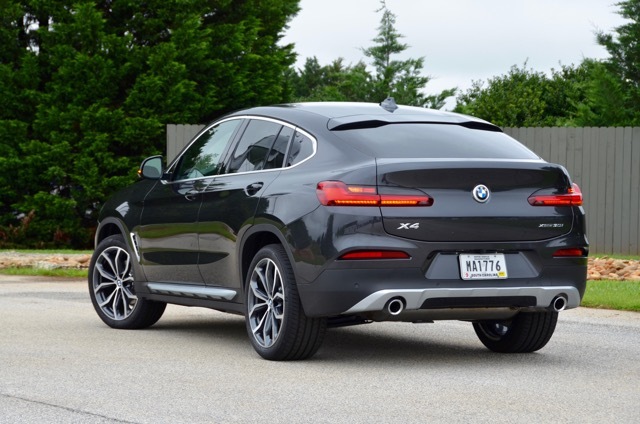 The new X4 is longer, lower and wider giving it better overall proportions and a bit more elegance. Up front it looks just like a BMW with its kidney grille and LED lighting. The 2.1 inches longer wheelbase, wider track and new suspension settings lower the center of gravity for sportier proportions and help with improved aerodynamics. 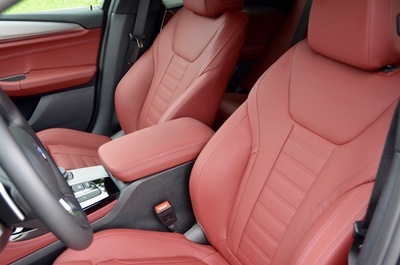 In the cabin the 5-seat X4 is very much a BMW with premium materials and nicely supportive seats. On the X4 there is a good command view of the road with the higher seating position and low instrument panel. 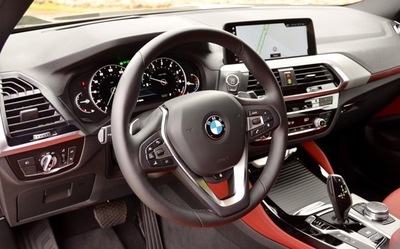 All X4s have navigation as standard that comes with a large 10.25 inch display and offers multiple ways to interact including touchscreen, iDrive Touch Controller, as well as a cloud powered intelligent voice control. The trend across automakers is to up the game with more driver-assistance safety features as standard. 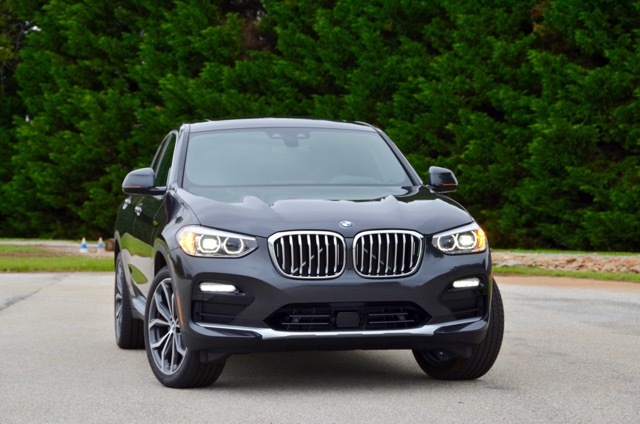 On the X4, standard Active Guard includes Frontal Collision Warning, City Collision Mitigation with Braking, Pedestrian Warning with City Braking, and Speed Limit Information. 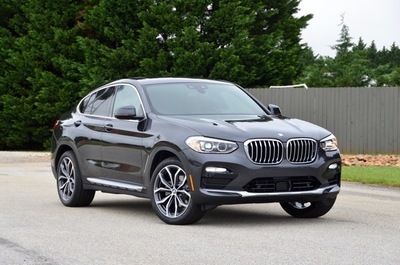 The X4 xDrive30i is powered by an I-4 twin-turbo 2.0-L engine generating 248 hp and peak torque of 258 lb-ft, which is on tap between 1,450 and 4,800 rpm. Zero to 60 mph acceleration is in 6 seconds. The X4 M40i features a in-line 6-cylinder twin-turbo 3.0-L engine with a maximum output of 355 hp and peak torque of 365 lb-ft. 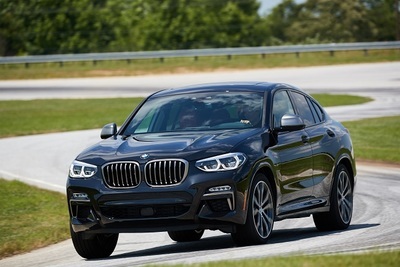 The X4 M40i accelerates from 0 to 60 mph in 4.6 seconds. Both models have an eight-speed Steptronic transmission and BMW xDrive intelligent all-wheel drive as standard. Gear selections can be selected manually using the shift paddles on the steering wheel. The standard eight-speed Sport transmission offers exceptionally fast gear changes as well as a Launch Control function. Drivers can select SPORT, COMFORT and ECO PRO set-ups, as well as a SPORT+ mode. EPA test-cycle fuel economy ratings were not yet finalized during my drive. However, I note that we did achieve a 26 mpg average during our very hilly driving route which kept us to an overall average speed of 40 mph (we had a few full-throttle runs in there too). The all-new 2019 BMW X4 went into production in April and is arriving in dealers during July 2018 with pricing starting at $50,450 for 30i, and $60,450 for M40i plus $995 Destination and Handling. Our on-road driving route took us out of the Greenville-Spartanburg area into North Carolina crossing over the Eastern Continental Divide along the way. Needless to say, the roads were meant for driving enthusiasts. Like all BMWs, the X4 handles well. For an SUV its handling is outstanding. Braking has been enhanced for better performance. My driving partner and I experienced uphill and downhill switchbacks as well a few good straight line runs. The X4 did not disappoint. We returned to the BMW Performance Driving Center in Greer, SC for out next experience. In groups of four X4 vehicles we lapped the road course following the lead instructor, picking up speed over every lap. On the skid pad that had been wetted down we tried our hand at drifting the X4. The BMW X4 is amazingly agile with very compliant suspension yielding an overall confident feeling while driving at more aggressive speeds through straights and turns. The needs based steering ratio provides for good steering input and feedback. 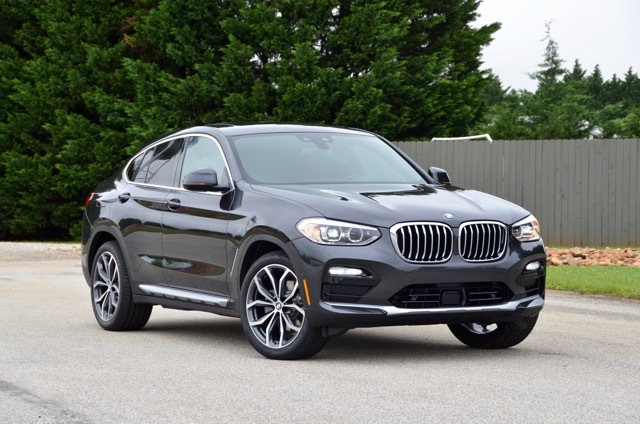 The overall driving dynamics of the X4 are extremely satisfying. More information, specifications and information on the new 2019 BMW X4 can be found at www.bmwusa.com. As an epilogue to the goings on at the BWM Spartanburg plant, with trade tariffs being one of the hot topics these day coming from the White House it’s not sure how things will continue. The future vehicle production plan BMW has for the plant may be forced to change. I’m sure the 70,000 or so workers in the Spartanburg-Greenville community would not be happy with the thought of a reduction in output. This report comes from an invitation-only BMW launch event that allowed special access to the vehicle and executives. BMW provided my overnight accommodations, meals, and transportation.